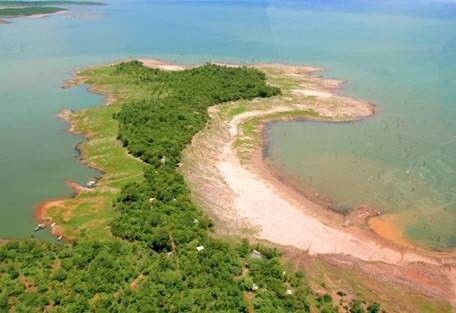 Matusadona National Park is a small Zimbabwean park situated along the shores of Lake Kariba and is roughly only 1 400 sq km in size. The park is world famous for offering visitors an incredible wildlife and safari experience incorporating this famous lake, while it is one of the few places remaining where black rhino can regularly be seen in Southern Africa. Guests at Matusadona can enjoy activities including game drives, walking safaris, boat and canoe excursions, offering a safari experience at any time of year. Matusadona has remarkable natural beauty with scenic landscapes and beautiful sunsets, making it a superb destination for keen photographers. The name of this park comes from the Mutuzviadonha Hills - the rugged mountainous region of this park, named by the locals. It is surrounded by river boundaries, giving it a good supply of water and attracting wildlife. Many of the animals were originally relocated here during Operation Noah when the Kariba Dam flooded and became Lake Kariba. Matusadona is one of the smaller National Parks, but has a broad landscape diversity with hilly mountains, as well as the appeal of Lake Kariba, which provides water activities to guests. This park is home to Zimbabwe's largest population of lions and it is one of the best places to view the endangered black rhino (while it is also home to the vulnerable white rhino). This is a lesser known and less frequently visited park with few, yet varietal, accommodation options meaning that it is never a crowded destination. 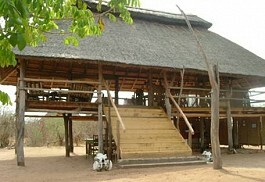 There is the option of staying in a houseboat on the lake and game driving in Matusadona Park. Lake Kariba is characterised by the skeleton trees that stand in the depths of the water from the days before Kariba Dam flooded. Operation Noah relocated most of the animals to Matusadona after the flood. 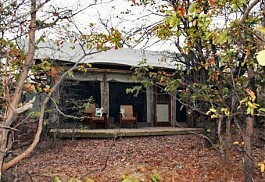 Changa Safari Camp is situated in a private concession area within the Matusadona National Park in Kariba. The camp will is a brand new, fully-catered facility offering luxury tented accommodation. The only permanent private camp in the National Park itself. Matusadona National Park is famous for big game, especially large herds of elephant and buffalo, which accumulate along the shoreline in the dry season. It is also said to have one of the highest populations of lion in Africa, after Ngorongoro Crater in Tanzania. Other predators such as leopard and hyena can frequently be seen in the park, and sometimes cheetah. There is a small population of endangered black rhino, which are often seen, while hippo and crocodile can frequently be seen on the shoreline. One of the highlights in Matusadona National Park is the incredible birdlife, with over 240 species having been recorded in the park. The fish eagle is common along the lakeshore and other species include populations of grey herons, goliath herons, great white herons and saddle-billed storks. Matusadona National Park consists of wooded hills, plateau and shoreline, and certain parts of the park are only accessible on foot. In the summer months, which last from September to April, temperatures can climb to 40 degrees Celsius, however, the varying altitudes in the park mean that the temperature can fluctuate from place to place. October is the hottest just before the rains. Summer also brings the rains, which are usually in the form of afternoon showers, followed by sunny skies. Sometimes it rains lightly for a few days, slowly watering the dry earth and producing new vegetation. Bumi Hills Safari Lodge offers a spectacular location on a hill overlooking Lake Kariba. 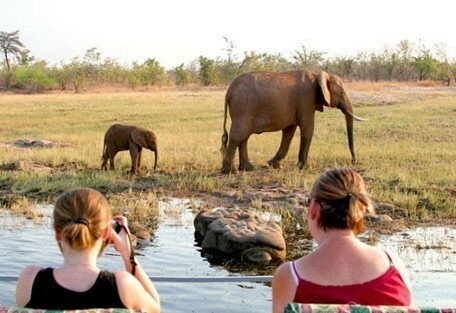 Guests can expect a diversity of wildlife, game drives, bush walks and boat cruises accompanied by expert guides. A sunset boat cruise on Lake Kariba is a highlight and offers superb photographic opportunities. 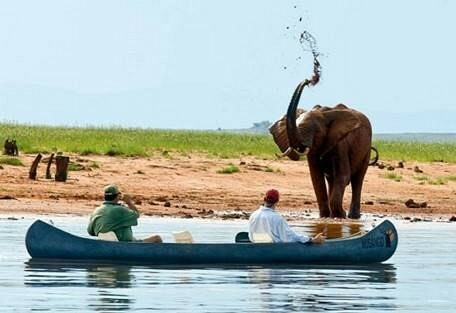 Rhino Safari Camp is accessed by boat either from Kariba or the nearby airstrips. This camp offers comfortable accommodation in a private and secluded location with friendly and efficient staff. Changa Safari Camp is a new fully-catered facility offering luxury tented accommodation and a location in a private concession, set on the shores of Lake Kariba overlooking the magnificent Matusadona mountains. Guests visiting Matusadona National Park will usually do so in conjunction with few other destinations, like Victoria Falls, or Chobe (Botswana). It is not recommended that one self-drives this region of Zimbabwe, particularly during the wet season from November to April, during which time roads become unusable. A 4WD is always necessary. Sun Safaris will arrange for guests to fly into the country at either Harare International Airport or Victoria Falls International Airport. From the airport, there will either be a chartered flight to one of the nearby airstrips, or guests will connect with a road transfer to their respective lodges. 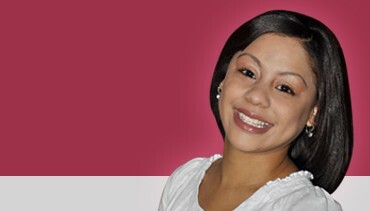 These details depend on time allowances and personal itineraries. Should guests take a chartered flight, it will be arranged for one of the lodge hosts to meet guests and drive them the last stretch to camp.